I hated the original Blood. I didn’t care for how macabre it was. And I didn’t like the anti-hero protaganist that much. A part of that reason was I never actually played Blood. I played a total conversion for Doom that turned Doomguy into Caleb. It was okay. Frankly, I found Blood 2 to be much better. I would equate it to a horror Goldeneye in terms of its gameplay. However, the gore is quite gratitoutous and the one-liners from Caleb are never-ceasing. If you liked Dusk I think you’ll like this though. Let’s check it out. Author’s Note: Despite using Steam I did not take screenshots. Hence no images are my own. The Story: Caleb is now dealing with an openly operating Cabal known as CabalCo. This is a nasty situation for him as the once poorly organized forces of his enemy are now heavily militarized and their demonic competitors are present too. Caleb is one playable character. With him you get cinematics. These are worthwhile despite me not oftentimes enjoying cinematics. Frankly, you’re better off playing Caleb if you want the game’s story. Otherwise, you’ll be in the dark. Level Design & Enemies: You’ll find each level to be a challenge when it comes to the hub levels or the regular stages. Yes, I said hub levels. It feels very Quake II at times. Quake II was a masterpiece. The city streets, caverns, military complexes, offices, and train stations all have their challenges. And the enemies you’ll face are nasty! Zombies in the image just above us will certainly rear their ugly heads. Cultists, no problem. They’re only dangerous en masse. Other enemies are much worse. The ones below will challenge you. Bring out the big guns. The Weapons: A good FPS has compelling weapons. Weapons tell the story as much as the NPCs or world does. There’s some great weapons—there’s a few I really can’t stand. I adore the Berettas. The Model 92s that Caleb packs would have John McClane, John Woo, and Max Payne raising large steins of Dunkel Lager in celebration of Caleb being influenced by 90s and 80s action films. The machine pistols are MAC 10s. 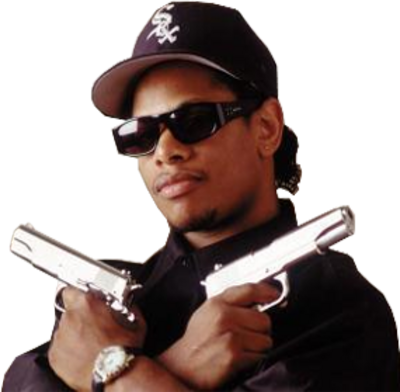 Eazy-E would be elated to have Caleb have a ‘Mac 10 on the side of my hip’ The Assault Rifle (Automatic Rifle) and the sawed off shotguns are decent. The grenade launcher is a joke. The grenades don’t explode at the right time. The Sniper Rifle is the most useful gun in the game. It is deadly at long range and devastating at close ranges. I can’t say anything kind about the flare guns. They were useful in the first game. Not so much at all in this one. Final Thoughts: This is a fun game. Is it one of my favorites? Absolutely not! The game has its charms but at times I got bored. Furthermore, the face hugger-like enemies would often have me reloading my saved games rather than just succumbing to them. I recommend this game for a nostalgia trip. It had been on my gaming backlog for years and I figured now was the time to take the plunge. It was satisfying. Go see for yourself.